Baatin is a most uniquely talented mu sician. A vocalist and playing over 7 instruments well, Baatin is an accomplished Entertainer that has performed all over the USA and internationally in Canada, Germany, Amsterdam, Egypt, Jamaica, Bahamas, Mexico and South Africa. Baatin is an occasional member of rock and roll hall of fame legends Parliament-Funkadelic –Original P version- [Guitar, Keyboards, Saxophone, Flute and background Vocals]. He has worked closely with Otis Redding III [Son of the late Soul legend: Otis Redding]. 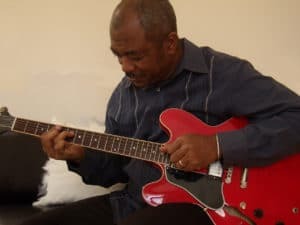 He has headlined regional festivals in the US and has been featured in concerts with the likes of Bobby “Blue” Bland, Robert Cray, Roy Ayers, Ronnie Laws, Dave Brubek and James Brown. His music can be described as the Funky Blues. 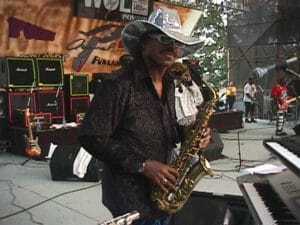 Ha ving studied with master musicians in Macon GA [musicians from the James Brown, Otis Redding, Bobby Womack and the Allman Brothers Bands] during the 70s and armed with a degree in Sociology with studies in ethnomusicology. His debut CD “Sunday Brunch” received critical acclaim in numerous major publications from around the world including Ebony Magazine and “The Pittsburg Gazette”. Music from this CD has been used by American cable network TNT[Turner Network TV] in their NBA [Basketball] playoffs program. His music has also been used by Delta Airlines in some of their CNN-In-flight presentations.